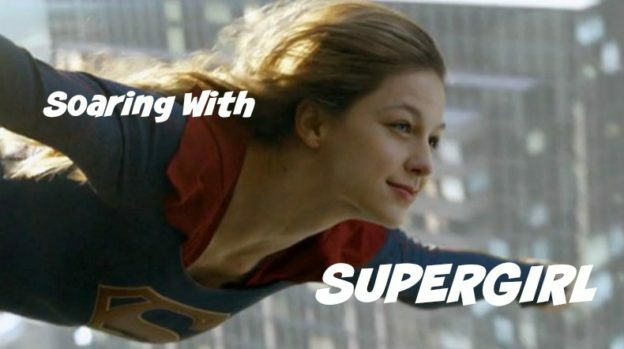 Before I begin, I just want to say a few words about season 2 of Supergirl. In fact this whole post has spoilers—look at it as kind of a review mixed with thematic discussion. I highly recommend that you do not continue reading if you haven’t seen it yet, but if you have or do not care, just go ahead. I won’t judge. This entry was posted in DC Comics, Fandoms and tagged DC, DC superheroes, Salt Lake Comic Con, Supergirl, Superman on August 5, 2017 by Lizy Cole. 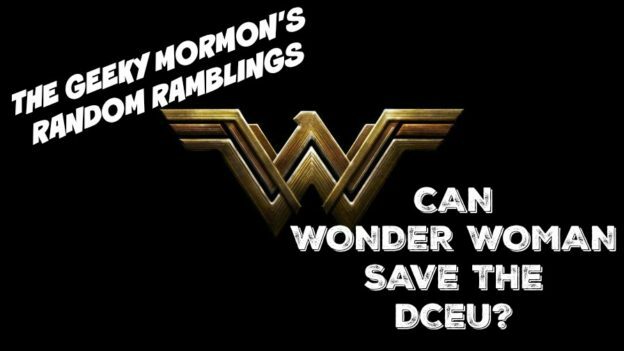 Can Wonder Woman Save the DCEU? The DCEU is in trouble. How much trouble depends on who you ask, but almost everyone agrees that not all is well in the house that Batman built. They need someone or something to step up and deliver a solid win in their movie franchise. A win like they haven’t seen since Nolan’s Dark Knight Trilogy. A win they’ve been wanting while watching their competition, Marvel, have success after success. Simply put, the DCEU needs a hero. Or maybe a heroine. Wonder Woman is that Heroine. She can deliver a film that connects with existing fans while expanding the fan base further into the mainstream. This entry was posted in DC Comics, Random Ramblings and tagged DC, Justice League, Wonder Woman on May 12, 2017 by Jake Dietz. You should never underestimate the power of cosplay in groups. I’ve been a part of a charity group for a while, but for this Comic Con I planned to do something a little different. Livewire was my favorite villain in Season 1 of Supergirl. Since her outfit didn’t look too hard to imitate, I decided to cosplay her. Then a few months ago, one of my Facebook friends decided to put together a DC Villains/Arkham group for comic con. I decided to volunteer Livewire. 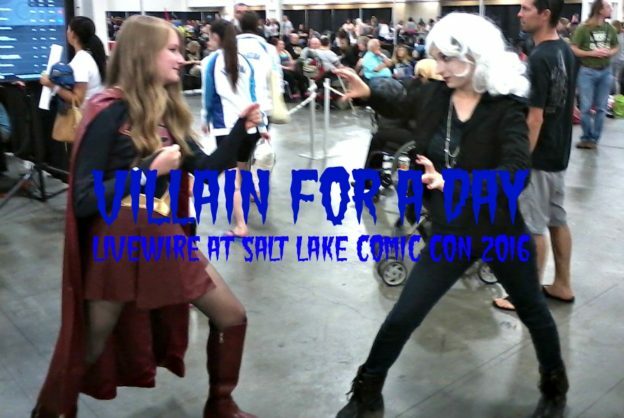 This entry was posted in DC Comics, Fandoms and tagged comic con, DC, DC superheroes, Salt Lake Comic Con, Supergirl, villains on September 10, 2016 by Lizy Cole. 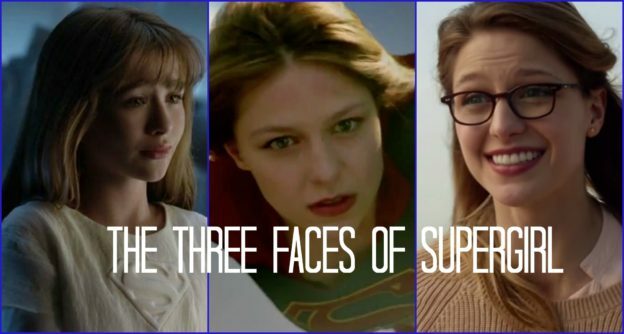 CBS just dropped a new extended trailer for Supergirl, and it looks pretty good. Yes, it looks slightly cheesy, but it also looks like it is worth a look this fall. Plus, it also looks like a show I would be comfortable with my kids sitting down and watching it. My girls especially. They need more heroines like this to watch and enjoy. My girls are all geeks, so I think they would really enjoy something like this. Plus, it’s as close as we are going to get to Supes on the small screen right now. 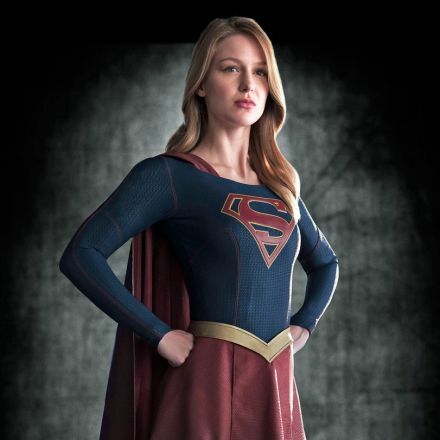 This entry was posted in DC Comics and tagged DC, Supergirl on May 14, 2015 by Jake Dietz. I watched that, and it was like something clicked. That is what felt off. The film looked and felt like one of the Dark Knight films. I know that other people have talked about that before, but I guess it never really resonated for me until I watched this video. 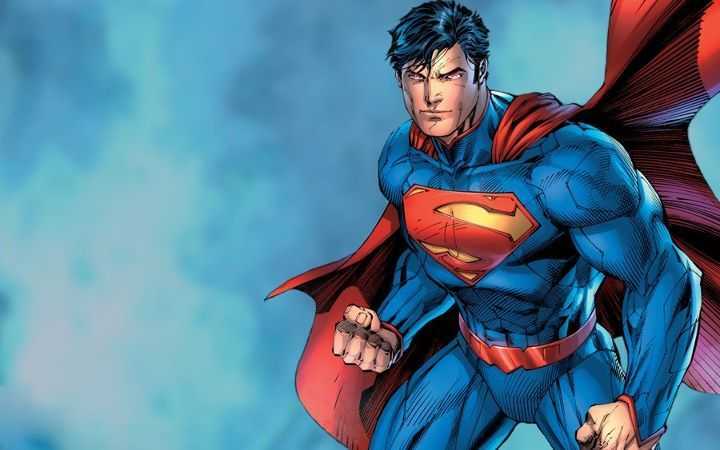 Superman shouldn’t feel dark and gritty. I get that they wanted to give the character an edge, but this just doesn’t work with Superman. Watching the Man of Steel has always felt really heavy and laborious for me, and I think the darkness of the film may be why. I get that part of the plan was to create a continuous look and feel for the DC movies, but there are other ways to do it. I have read a great number of comics in my life, not as many as some, and probably too many if you ask my wife. I have always thought that Batman sounds like an intriguing character, and he is, of course, just massively popular. That being said, I have never been able to get into his books. Why? They are so dark. I just don’t like it. Some people go for that thing, and that’s fine. I realize I am being purely subjective here. This was my big complaint with the new Daredevil series. It was good, well written, for the most part, well acted. It was just too dark for me. That is what it feels like for me when I read a Batman title. It is really dark. And it’s not just that the character himself is dark. The whole Batman world is dark. I am still unclear on whether the sun ever shines in Gotham City. I don’t think I have ever seen it be daylight in any of the comics or movies. It is night-time all the time. Not just night-time, but middle of the night, pitch black, night-time (this is an exaggeration to make a point. Please do not respond with instances from the films or comics of daylight in Gotham). The villains are darker. In the way the look, and in the fact that hey are all psychopathic, homicidal, maniacs. The whole Batman world is littered with these folks, and they are all dark, bad news. That is the world that Batman exists in, a world that Tim Burton successfully brought to the big screen, and Christopher Nolan perfected it. By contrast, there is nothing dark about Superman, or the world he lives in. I have always felt that Superman and Batman have been opposites in some ways. 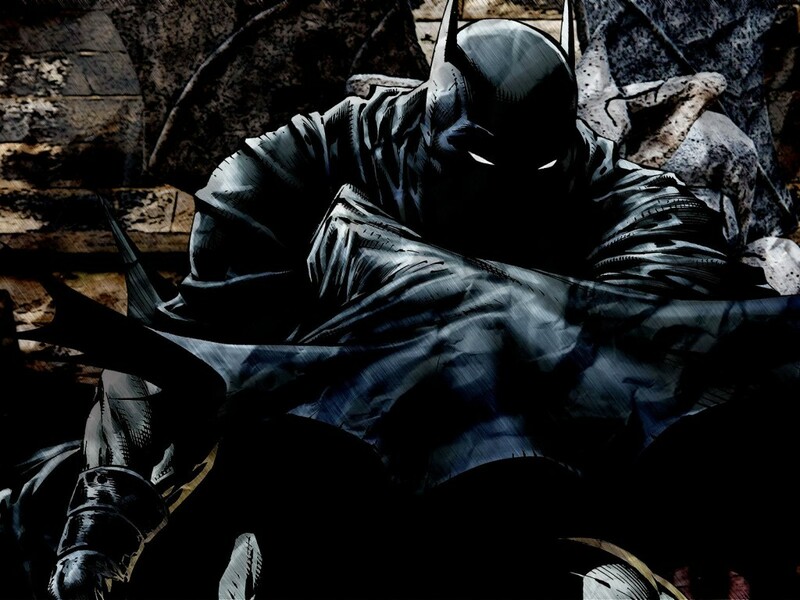 One big way is that Batman has worked hard to become darker and scarier than his opponents, dropping down to their level in some ways, and sometimes even lower. Superman has always worked hard to be that beacon of hope. I know that makes him cheesier than Batman, but when you are more powerful than everyone on Earth combined, then you can afford a little cheese. Besides, how scary would it be for the world if Superman had gone the Batman route? That would be terrifying. Here’s the crazy thing, though: Both of these characters have been like this for a long time, and they have both successfully lived in the same universe for a long time. There is no reason it can’t work like that in the movies. In fact it would be a nice contrast, a good juxtaposition. It would demonstrate how different the two of them are, even though they are on the same side. That contrast works really well, Superman in his bold primary colors flying across a blue sky, sun behind him, and Batman in his dark grey and blacks, hidden in the shadows. It is a contrast that has worked for years in the comics and could work on film too, if they went for it. Unfortunately, it doesn’t look like it is going to happen. 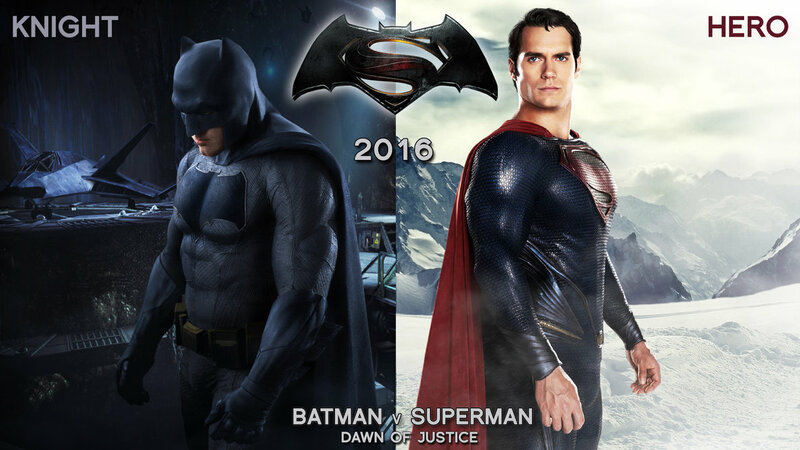 Looking at the new trailer for Dawn of Justice, it looks like we are getting more of the same. It just feels so dark and heavy and depressing, compared to what we are getting from Marvel. I saw someone post that this is because DC has always been a lot darker than Marvel generally speaking. I don’t think this is true. There are plenty of dark and light comics on either side. Just like both exist in the real world. Right now, though, one might think that’s the case because that is what we are getting in the theaters. Here’s hoping that what we have seen so far from Dawn of Justice is not a good indicator of everything we will see in the film. Here’s hoping they choose to work that contrast between Batman and Superman instead of forcing Superman into a dark, gritty role. One can always hope, right? This entry was posted in DC Comics and tagged DC, Superman on April 24, 2015 by Jake Dietz. Happy St. Patrick’s Day, everyone. This is the holiday if you like the color green. You will see it everywhere today, of course, from shirts to tie to hats to a river, if you happen to be in Chicago. So, in honor of this annual obsession with green, I thought I would compile a list of 10 comic book characters who are famously green. It’s not a “top ten” where I am counting them down, but simply a list of 10 characters, in no particular order. 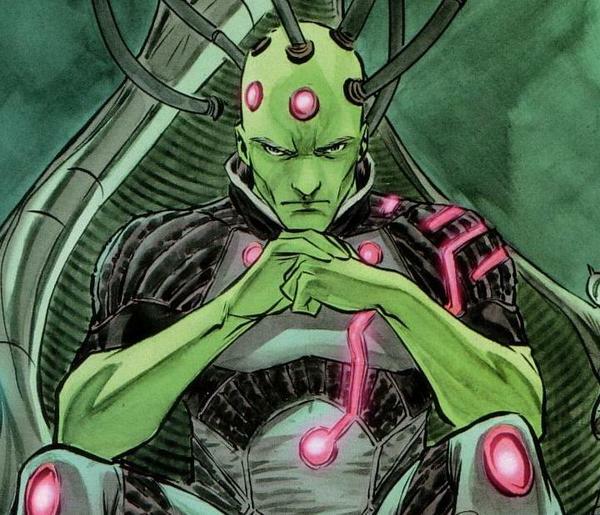 Brainiac is one of Superman’s big bad guys- right up there with Darkseid and Lex Luthor (who is obsessed with green too, but didn’t make the list). He is most commonly depicted with green skin, and an unpleasant demeanor. Not a happy way to start our list, but he is also not the last baddy on the list either. The quirky, lovable shape shifter from the Teen Titans, both in comics and animated TV. 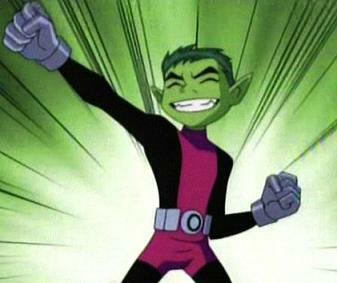 What’s not to like about Beast Boy? I know I used to enjoy watching him on Teen Titans because he reminded me of myself as a teenager, and every other teenage boy I have ever met. 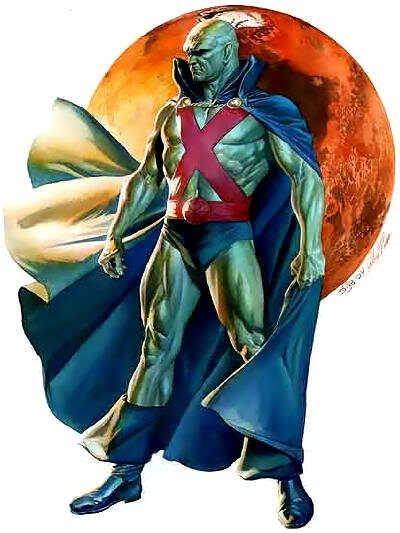 The stoic, ultra powerful psychic from the Justice League, the Martian Manhunter is a personal favorite of mine. I know, he fits the stereotypical picture of a martian with green skin tone, and that almost seems racist and unoriginal, but he is still pretty awesome. And, obviously, he was the World Heavyweight Wrestling Champion on Mars in his former life. I mean look at the guy’s outfit. It’s like he came straight from the ring. 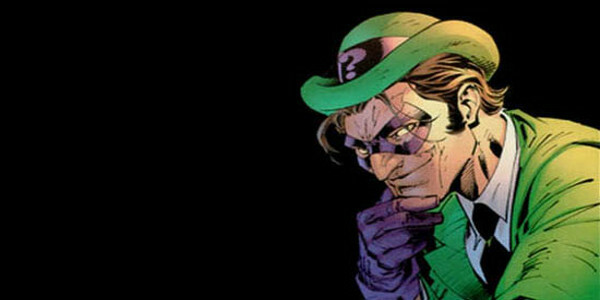 Riddle me this: Who is the Bat Villain who is always dressed appropriately for St. Patrick’s Day? Easy, it’s the Riddler. He also wins the prize for being the character on this list that most resembles a leprechaun. Congratulations, Mr. Nigma. Made famous by Alan Moore, Swamp Thing has been around for a while. He may look like a creature from some black lagoon, but he is the good guy. I mean, as long as you’re not attacking nature. He first appeared in 1971, which makes sense, he seems to be a character that only makes sense in the 70s and 80s, but somehow he has endured all this time. The original android (sorry Data). The Vision was created by Ultron to infiltrate the Avengers and get at Hank Pym, who created Ultron. Eventually, the Avengers turn Vision to their side, and he becomes a member of the team. Eventually he falls in love with Scarlet Witch, and they get married. How much of this will play out in the Age of Ultron movie? 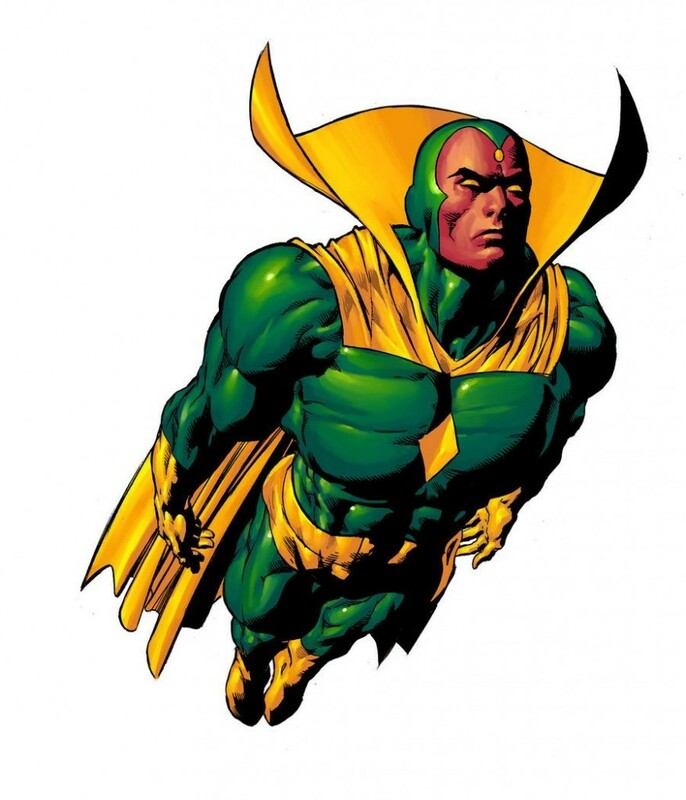 Probably just the Vision showing up, the rest will happen with time in the MCU. Unfortunately, Vision is dropping his green attire in favor of grey in the new movie. 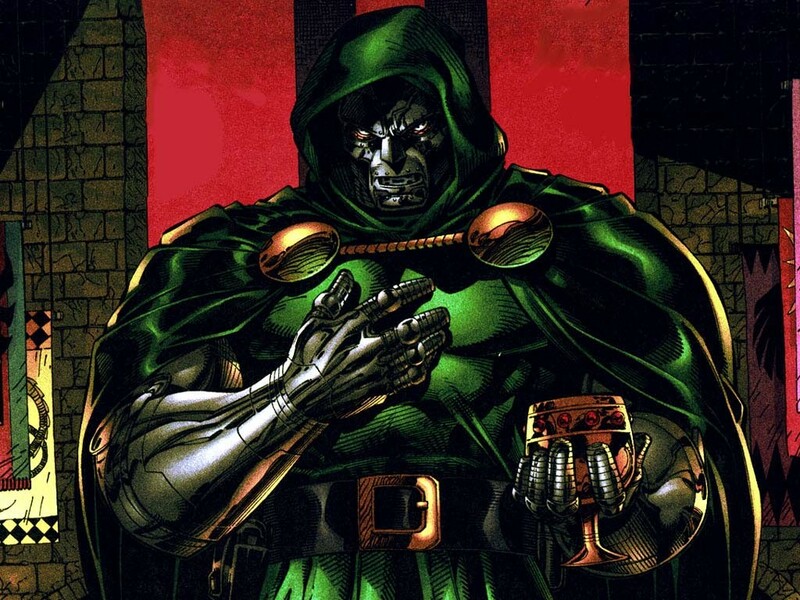 Doctor Doom is one of the most feared villains in the Marvel Universe. He’s right up there with Thanos or Ultron or Galactus. One of the biggest tragedies with the whole split of Marvel characters amongst studios is that Doctor Doom is in with the Fantastic Four deal with Fox, and they have totally ruined him on film. I have always thought of him as the classic, essential Marvel Villain and would love to see him square off against the Avengers on the big screen someday. What list of green comic book characters would be complete without everyone’s favorite giant green rage monster? He is a fan favorite for sure. He hasn’t always been green and there is now a red Hulk as well, but the most famous version of the Hulk is by far the green version. I can’t wait to see this guy smashing stuff up again on the big screen. 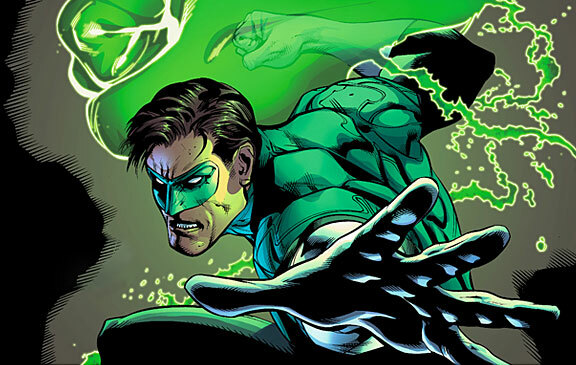 Green Lantern is probably the most well-known “green” superhero. There’s not just one green lantern, though. This is an intergalactic police force, each member wielding a ring that harnesses the green light of will power. With that ring they can form constructs out of the green light. The limit is only their imagination. Hal Jordan was the first in the DC universe to wield this power (I know Alan Scott was the first Green Lantern, but his was a different power), but he has been followed by Guy Gardner and Jon Stewart. 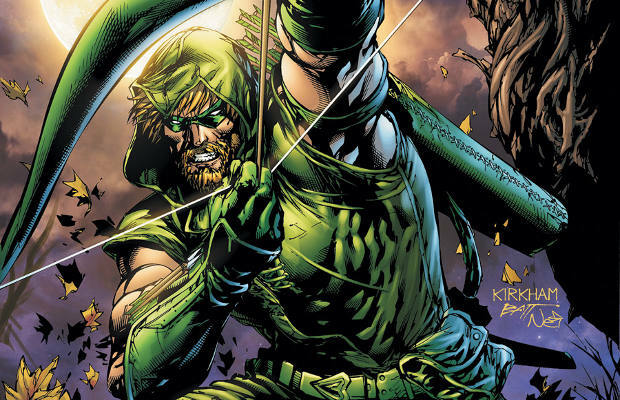 Green Arrow was originally conceived as an answer to Batman. He was wealthy, just like Batman, and he used that wealth to turn himself into the Green Arrow. He obviously may have been influenced a little bit by Robin Hood as well. Now, Oliver Queen exists in the same world as Batman. With the CW series Arrow, Green Arrow has never been more popular or more mainstream. And now he is on my list. Who knows how much that will boost his popularity. I mean, the sky’s the limit there. Well, there you have it. My list of green comic book characters. What characters would you include in a list like this? Which ones did I miss? Let me know in the comments. We love hearing from you. This entry was posted in DC Comics, Marvel and tagged Beast Boy, Brainiac, DC, Doctor Doom, Green Arrow, Green Lantern, Hulk, Martian Manhunter, Marvel, St. Patrick's Day, Swamp Thing, The Riddler, The Vision on March 17, 2015 by Jake Dietz. Yesterday, I began my look at the two big comic book companies’ future movie plans with a look at Marvel. 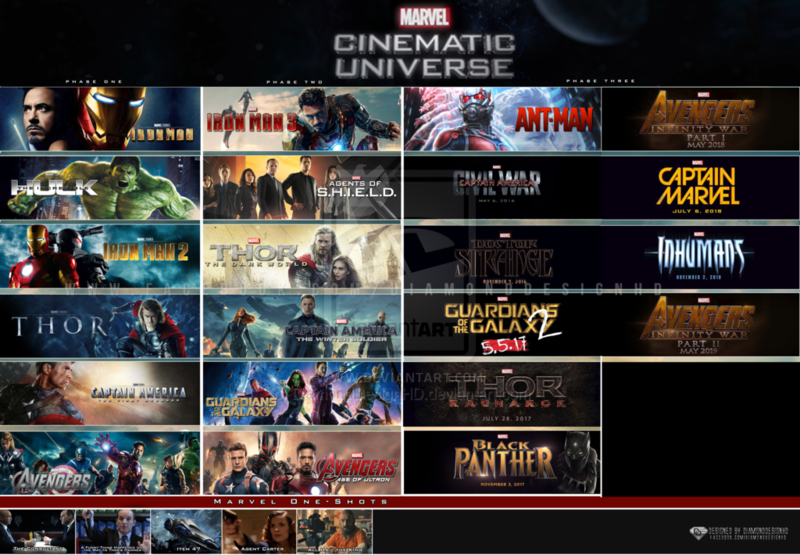 I think, at this point, the only thing you can really call Marvel’s attempt at creating one cohesive television/movie universe is a big success. Well, more like a giant success. With GOTG being the major blockbuster it was last year, it became apparent that Marvel can do no wrong (as long as you forget Iron Man 2). They are the reigning champs, and it doesn’t look like they are looking to give up that title any time soon. Avengers: Age of Ultron looks amazing, and somehow, Ant-Man is picking up steam. DC has only put one movie out there as part of their cinematic universe, and that was a couple of years ago. It will have been 3 years by the time the next one, Dawn of Justice, comes out. By comparison, in that same span of time, Marvel will have released 7 films total. 7. It almost seems like DC isn’t even trying. That’s not totally true. 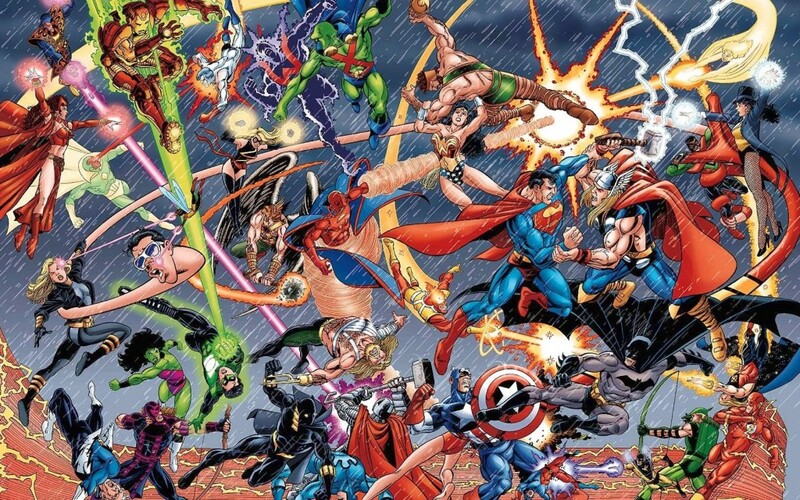 The idea for DC to put together their own universe like Marvel’s has been around for a while, but they just haven’t been able to get it off the ground. The original plan was to launch the DC universe with Green Lantern (2011), and begin building from there. Unfortunately, we all saw Green Lantern and it was just painful. That put the stop on the whole one universe, Justice League idea for a while. DC started going in a different direction, called TV, as it launched Arrow. The series became a hit, leading to a spinoff series, The Flash. These two series, however, were not attached to the Green Lantern film. Or to the Nolan Batman trilogy, which was also not connected to the Green Lantern film. Leaving DC with three different universes in which their heroes now resided. Enter Man of Steel (2013). This introduces yet another universe, and DC’s first hit movie of this century not starring Batman. In the time between 2011 and 2013, it became apparent that Marvel’s whole plan is coming together nicely, and with MOS’s success, DC revisits the idea of creating one big universe where all their heroes can reside. They decide to go for it, but they still take a different approach, as Geoff Johns refers to their productions as being part of a Multiverse, instead of a universe. Oh bother, DC. Basically, it was DC is calling their upcoming productions, both Films and TV shows. Marvel had their catchy “Marvel Cinematic Universe,” so DC had to come up with something catchy to compete. Hence, the DC Multiverse. Think of it as being similar to when DC started their “New 52” in the comics, so Marvel had to respond with “Marvel NOW!” The good news for comic book fans is that both companies have kept both stupid monikers going for way to long. (What is the rule for how long something can be called “New”?) To be fair, DC isn’t just trying to come up with a clever name. They are also trying to cleverly sidestep a major issue. 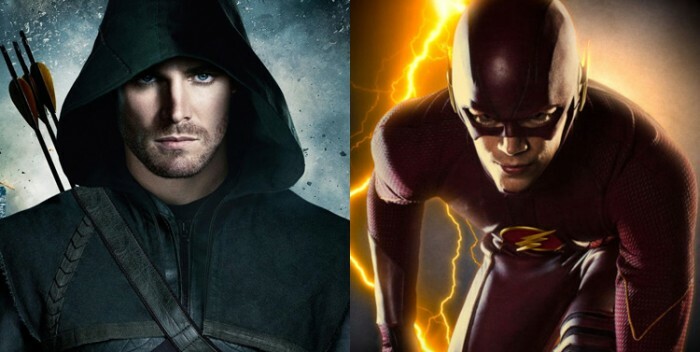 They don’t want to tie in Arrow and The Flash with their upcoming films. They want them to be totally separate. So, because fans eat this stuff up, they have decided that DC will have a multiverse in their Television/Cinematic world just like they have in the comics. In other words, don’t expect to see Stephen Amell or Grant Gustin sharing the screen with Ben Affleck and Henry Cavill. In fact, they have already cast Ezra Miller to play the role of the Flash in the Justice league and Flash movies. No special appearances by the heroes in the big movies on the small screen either. It’s just not happening. It will work for one big reason. We, the fans, want to see it. 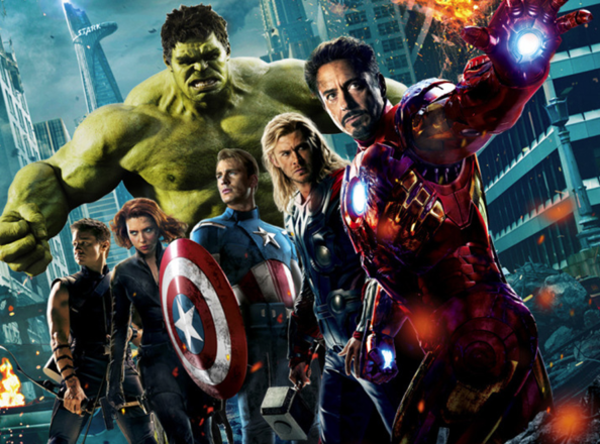 We finally got to see the Avengers come together, and it was awesome. Now we get to see the two biggest superheroes ever come together for the first time on the big screen. That alone is worth all of it. At least I hope it will be. DC really has an opportunity to make all of this something special, just like Marvel has. Let’s just hope they don’t screw it up. In addition to seeing Batman and Superman together, we will get to see Wonder Woman for the first time on the big screen, as well as the Flash, and of course, everyone’s favorite, Aquaman. DC has so many characters that we have not seen up on the big screen before, so it will make for some exciting, fresh characters. It will also work, because this model allows DC to do whatever they want on the big screen as well as the little screen. They have a good thing going on Arrow and The Flash, but they aren’t tied to making that world the same for every character. In fact, it seems like Gotham is taking place in another universe as well. The result is, Gotham is not hindered by what’s happening in Arrow or The Flash. The studio doesn’t have to give any explanation for any kind of inconsistencies fans will see when Batman is on the screen in Dawn of Justice and something doesn’t match up to what is happening in Gotham. The studio has already provided us with the answer to any of those questions-it’s a multi-verse. To be clear, The Flash and Arrow are not reasons why this model does not work. Well, maybe indirectly. More like examples of a potential issue. That issue is that it is going to get confusing. 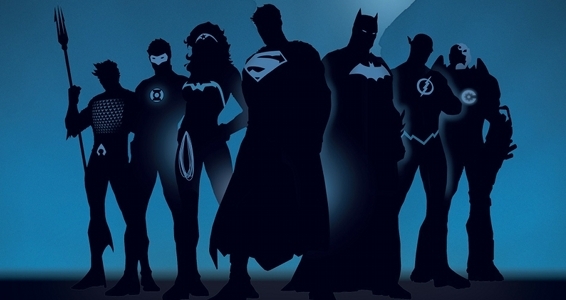 Right now, DC has 3 different universes going: The movie universe, the “Flarrow” universe, and the Gotham universe. Wait, 4. I forgot Constantine. 4 different universes right now. That could potentially grow with other projects that DC has announced, like Titans on TNT and Supergirl for CBS. Both of these series could be set in a different universe. A different universe from the 4 mentioned, and a different universe from each other. That could bring it up to 6 different universes. That is going to be hard to keep track of. Who is in which universe? And who knows about whom, and so on. Maybe the plan is to have a universe for each network that DC has a show on, and then the plan is to have a show on 52 different networks (they seem obsessed with 52). I doubt that is really the plan, but hopefully you get the point. It seems like, at least on TV, there is little to no cohesiveness, and that is kind of lame too. At the very least, keep all the TV properties in one universe and the movie properties in another. That wraps up my look at the two different models, at least for right now. It is really hard to tell what will happen with DC because we just don’t have enough from them right now to make any kind of judgement. All we can do is speculate on how it will all play out. I am hoping for the best. I am not really interested in who “wins” between the two companies, because in the end,I am hoping I win and we have years and years of quality superhero entertainment coming our way. What are your thoughts on the whole thing? Do you like Marvel’s or DC’s model better? Let us know in the comments. This entry was posted in DC Comics, Marvel and tagged Arrow, Batman, DC, Marvel, Superman, the flash on February 14, 2015 by Jake Dietz. Before you start thinking that this is going to be another post trying to determine which comic book company is superior, let me just stop you. I really like both. If I had to pick which way I have traditionally leaned, it would be DC. I don’t know why. I think I have always felt that their superheroes have always been more iconic, more regal, more superhero-y. Marvel’s seem to be more like regular folks with super powers. I guess I just prefer my superheroes to be more superhero-y. That being said, I really like Marvel still. Growing up I read my fair share of X-Men, Spider-Man and whatever other hyphenated superheroes Marvel had. I like a lot of the characters in the Marvel Universe just fine. In addition, I have really enjoyed almost every movie Marvel has released, while I admit that DC’s attempts have been, well, not very good at times. Green Lantern, I’m looking at you (ironically, Ryan Reynolds is on tap to possibly ruin a popular Marvel character next. I guess that’s as ironic as Ben Afleck being cast as Batman, after ruining Daredevil). This is not a post about which one is better, but more of a discussion of how they’re very different, and what that means. This is part one, which is all about Marvel. The vision (no pun intended) for the Marvel Cinematic Universe is to have one cohesive universe where all of their heroes reside. It doesn’t necessarily follow the comics continuity, but it does have a specific continuity and each movie has a place in that continuity. What happens in one movie will affect what happens in all the movies that follow. With Agents of SHIELD, Marvel extended this universe into television as well. What happens in the movies, like Captain America: The Winter Soldier, can and does affect what happened in Agents of SHIELD. Each installment is also another chapter in a larger overall story arc. For example, we have already seen a few of the infinity stones that will be playing a role (a huge role) in the Infinity War movies coming in a few years. It is all leading up to that point, even though each film can also be enjoyed on its own. This universe also includes the Netflix Series (can we really call them TV series, since they will never be on TV?) that will be streaming over the next couple of years, starting with Daredevil this April. The MCU will also, as of this week, include Spider-Man going forward. It works because geeks love this stuff. We love the little details. We love seeing a movie and picking up on little details that foreshadow what could be coming up in the next movie, or some other later movie. It makes us feel pretty cool when we are sitting in the theater with a group and we pick up on something no one else in the group picked up on. It’s just cool. An even bigger reason this works is because of how the stories are going to be told. We get the origins of each of the individual characters in their individual movies, so when they come together in a cross over movie, like the Avengers, we don’t have to clutter it up with each individual members origin. We can just hit the ground running. Much of the character development happens in the other movies, while the big movie, the team up, is all about the action. And what makes that even cooler is that we have the big team up movie at the end of each phase with each of the Avengers movies, and really Avengers and Age of Ultron, although big payoff movies, they are really just two more minor movies setting up the Infinity War movies. It’s awesome because each movie is building on the one previous and establishing foundation for the next movie. Up until 2 days ago, the picture at the beginning of this part was going to be Spider-Man. He was really the representation of the biggest problem Marvel has. He is their most well-known character, and up until Tuesday, he wasn’t going anywhere near Captain America or anyone else in the MCU. That, as we know has totally changed now, so we’ll use the next most popular title Marvel doesn’t have the rights to: The X-Men. This is Marvel’s biggest issue, because they are hindered by which characters they can use, and they could start running out. This has been talked about a lot, and honestly, the X-Men and the rest of the Marvel Universe exist pretty separately in the comics as well, so this is not as major an issue. The Fantastic Four is actually probably a bigger deal. None of this, however, has really anything to do with why Marvel’s model doesn’t work. The biggest reason the model may not work is because it is all so connected. It doesn’t give a lot of liberty to the writers or the directors or any of the creators. Anyone they bring on will need to fit the MCU model so it all feels so cohesive. This has worked fine so far, but will it continue to work well going forward? As they start getting into some of the characters they have coming up, it will be difficult for them to keep it all feeling the same without sacrificing the feel of the character, at least traditionally. Take Daredevil,for example. The trailer looks pretty amazing, but Daredevil is a much darker, grittier character compared to what they have done so far. In fact, most of the Netflix series will be that way. How will that fit in with the rest of the Marvel Universe? They have to find a way for it to work, because it has to fit in with the master plan. There were rumors that part of the reason Edgar Wright left Ant-Man was because working for Disney/Marvel was too constrictive. If that’s the case, then it will only get more that way as the movies continue to be successful. They have a formula that works, and they are going to stick to it. If there is one thing Disney has figured out over the years, it is how to stick to a formula that works, in order to make a lot of money. In fact, nobody does it better. This entry was posted in DC Comics, Marvel and tagged Avengers, DC, Marvel, X-Men on February 12, 2015 by Jake Dietz.